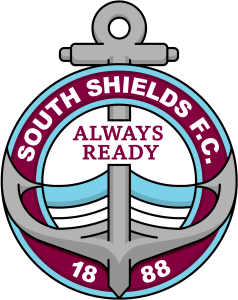 A first-half strike from Olly Scott secured South Shields Academy a spot in the National League Under-19 Alliance Cup semi-finals, with a 1-0 win over Weston-super-Mare. The victory sets Shields up for a clash with either Basford United, Chasetown or Maidstone United. The young Mariners came into the tie on the back of an emphatic 5-2 victory away to Mansfield in the previous round and they were quick to put the visitors on the back foot. Will McCamley glided into the box from the left before squaring it to Max Cowburn, only for his shot to be blocked on the line by the Seagulls’ centre-back, preventing an early opener. The visitors looked to sit in and absorb the Shields pressure early on but struggled to contain the relentless attacks, and soon the hosts got their breakthrough. McCamley, who was causing all sorts of issues on the right wing, cut inside and played the ball through to Cowburn, whose shot was well saved onto the post, before Scott tapped in the rebound. Shields nearly doubled their lead when McCamley again cut inside from the right before curving his shot narrowly wide of the post. The Mariners carried pressing for a second after the half-time interval, and came close when Callum Guy unleashed a half volley from the edge of the box that rattled the crossbar. Despite their dominance throughout, Shields were nearly the architects of their own downfall, when sloppy defending presented the Weston striker with a chance, but Cameron Armstrong saved well down low to prevent the equaliser. McCamley came close late on after skinning two Weston defenders down the byline before crashing his shot off the post from a narrow angle.